"Chickens lay eggs," Kunselman said. "I want fresh eggs. It's just a simple ordinance change." "I want to have fresh milk," Rapundalo said. "Let's change the ordinance to allow cows or goats." Yes, because the equivalent of an easily confined, flightless mammal is a medium to giant-sized, free-roaming one. Is this seriously the slippery slope that Ann Arbor City Council fears? Chickens are a starter animal for larger, more insidious animals? 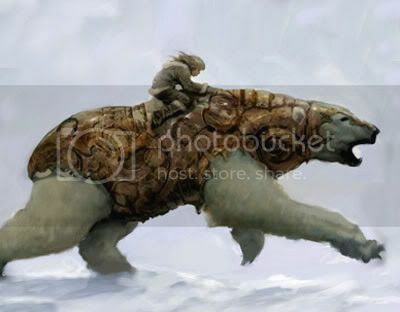 Warning, Councilman Rapundalo, many people in Ann Arbor legally own dogs; this, to me, implies it's legal to own an armored polar bear. Looks like ryan doesn't have to worry about parking downtown anymore.